We present an 1D numerical model of heat, steam, and water transfer across a wall consisting of several layers of different materials. The model is the system of coupled diffusion equations for wall temperature; vapor pressure, and water concentration in material pores, with account of vapor condensation and water evaporation. 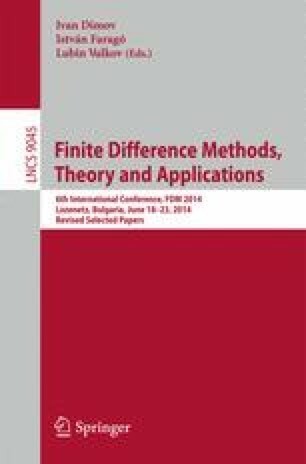 The system of nonlinear PDEs is solved numerically using the finite difference method. The main objective of modeling is simulation of long-term behavior of building wall moisture distribution under influence of seasonal variations in atmospheric air temperature and humidity. This work was financially supported by the Ministry of Science and Education of Russian Federation, contract RFMEFI57614X0034.